The 3D printed Airbus concept plane, here by 2050. While printing out 3D models of planes has been possible for some time, we may have full-sized, people carrying, flying planes being printed by 2050. The European Aeronautic Defence and Space Company, EADS for short, is the parent company of Airbus, and 3D printing has caught their eye in the sky. Airbus is known for its double-decker ultra-high-capacity airliner, the A380, and for producing about half of the world’s jet airliners. Around 63,000 people are employed by Airbus around the world. Keep in mind that EADS, the parent company that’s actually planning to utilize 3D printing to produce Airbus airliners, has about twice that many employees. I mention these numbers to highlight how far reaching the effects of such a massive undertaking could be. You’re probably aware that double-decker planes aren’t extraordinarily common, mostly because the A380 has only been in production for seven years. Holding the record for the largest airliner, it dwarfs the Boeing 747. Printing such a large, complex, and new piece of (flying!) machinery is bold, and will require an estimated 80 meter square 3D printer. Now that’s a printer! One of the great aspects of this possibility is the breakthroughs that a multibillion dollar company can make. Airbus airliners are intricate, and peoples’ lives depend on the planes’ structural integrity. Surely the EADS engineers will overcome all obstacles, and though some of their workarounds will be Intellectual Property, much of their technical progress will be disseminated through public channels, like this one here. Much of EADS’ motivation to plan such an international overhaul is charged by customer sentiment. When Airbus asked their fliers what innovations they wanted to see from the company, there came a resounding call for more green. It seems that most people are quite concerned with the planet, and not very interested in breaking the sound barrier during their vacation travels. Anyone that’s familiar with 3D printing can tell you how sustainable the process is; there are several printers that can print most of their own parts for pennies. 3D printing may be the least wasteful method of manufacturing that has been devised. 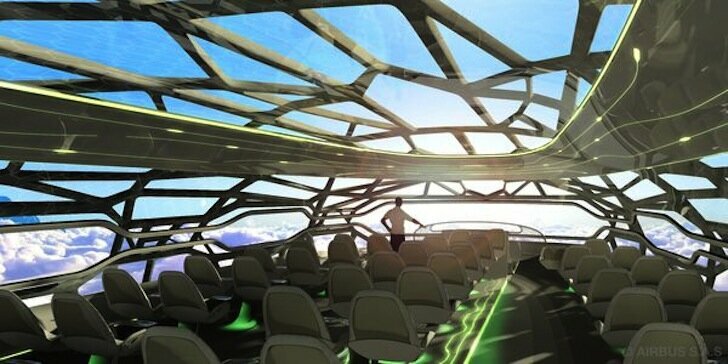 As shocking as the idea is, it’s also no wonder that by 2050, you may be able to fly in a printed plane.